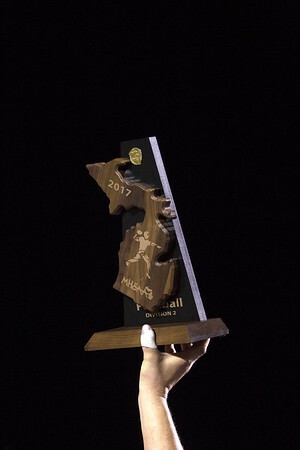 The Traverse City Central Trojans defeated the Traverse City West Titans 17-14 in the district championship game at Thirlby Field on Friday night. Traverse City Central hoists the district championship trophy high after defeating Traverse City West at Thirlby Field in Traverse City on Friday night. The Trojans took home the trophy 17-14.